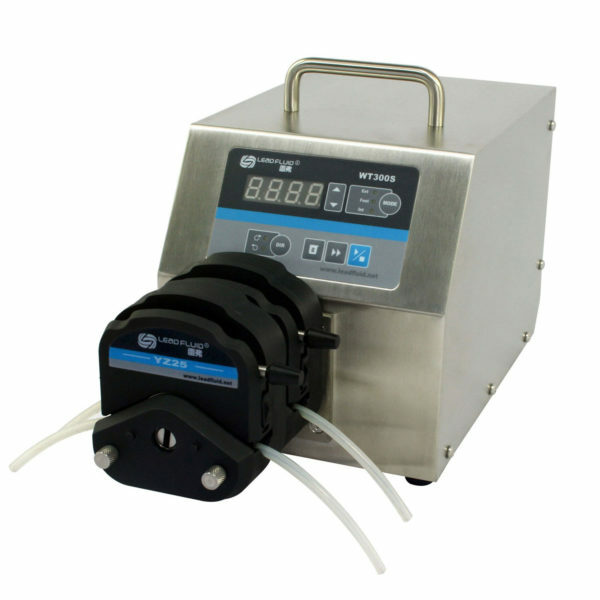 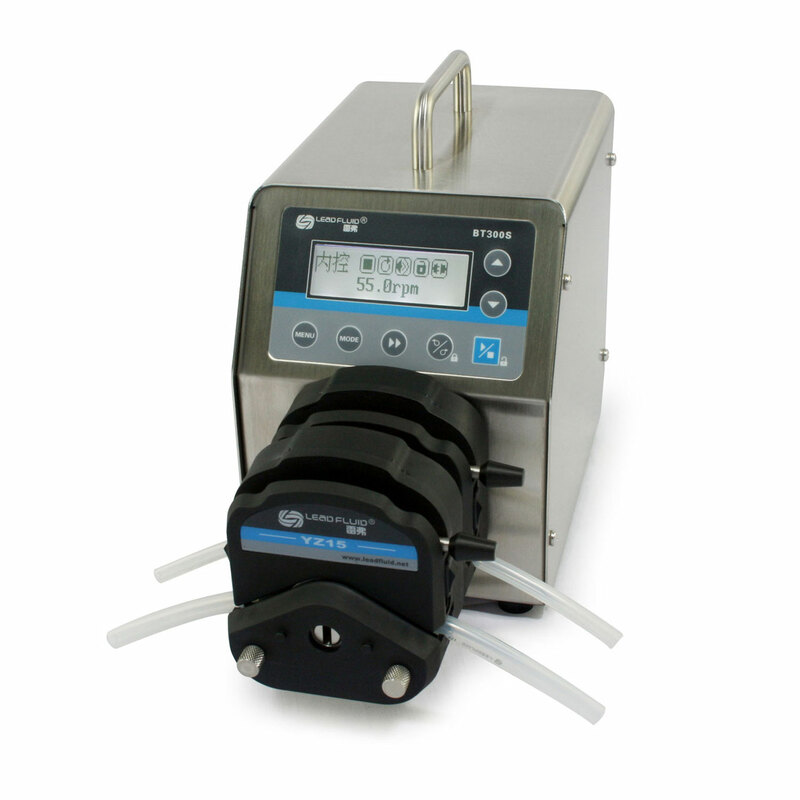 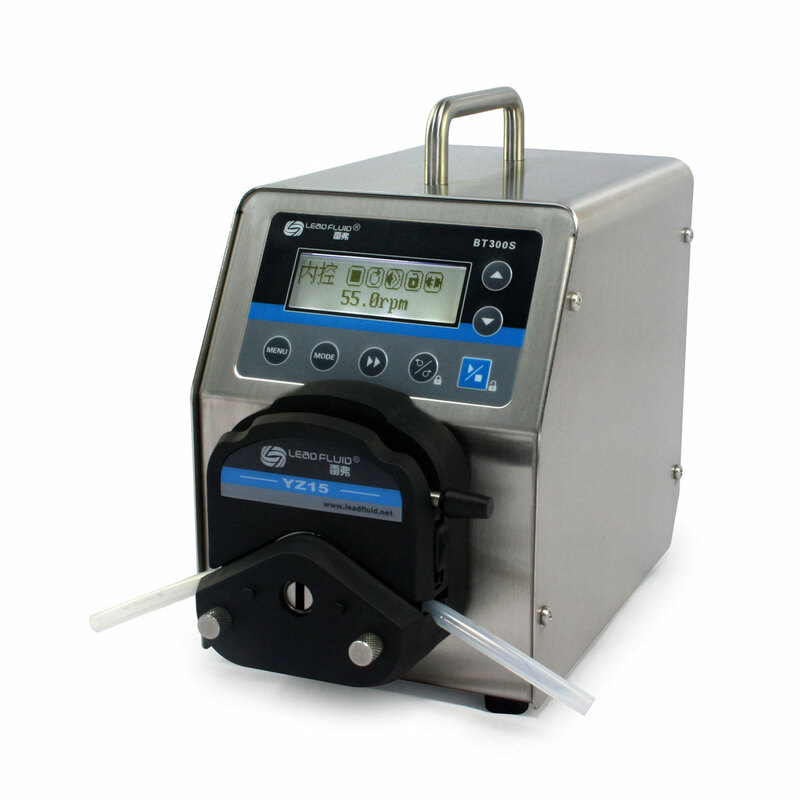 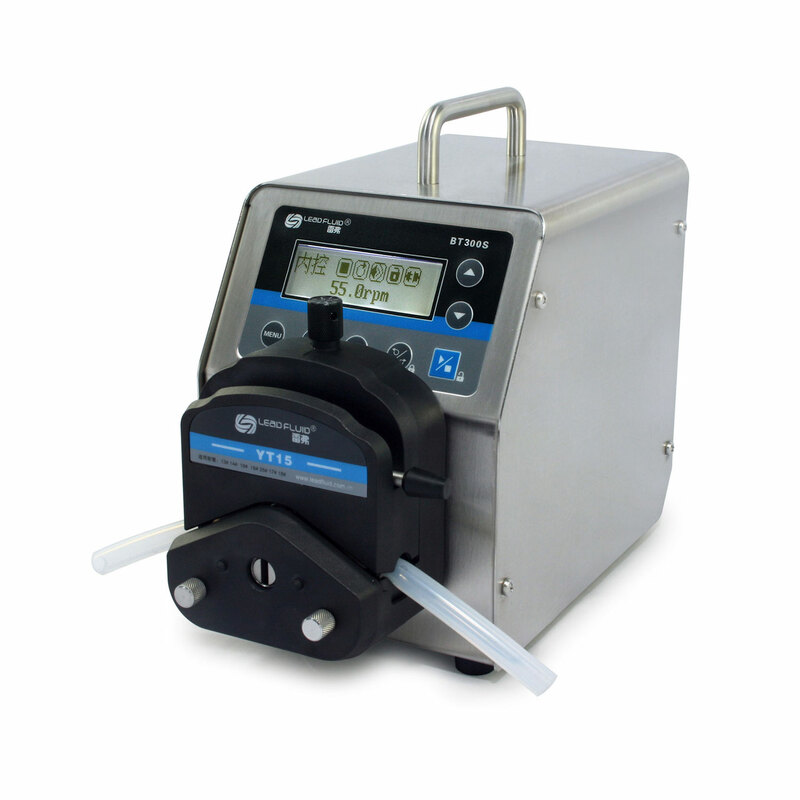 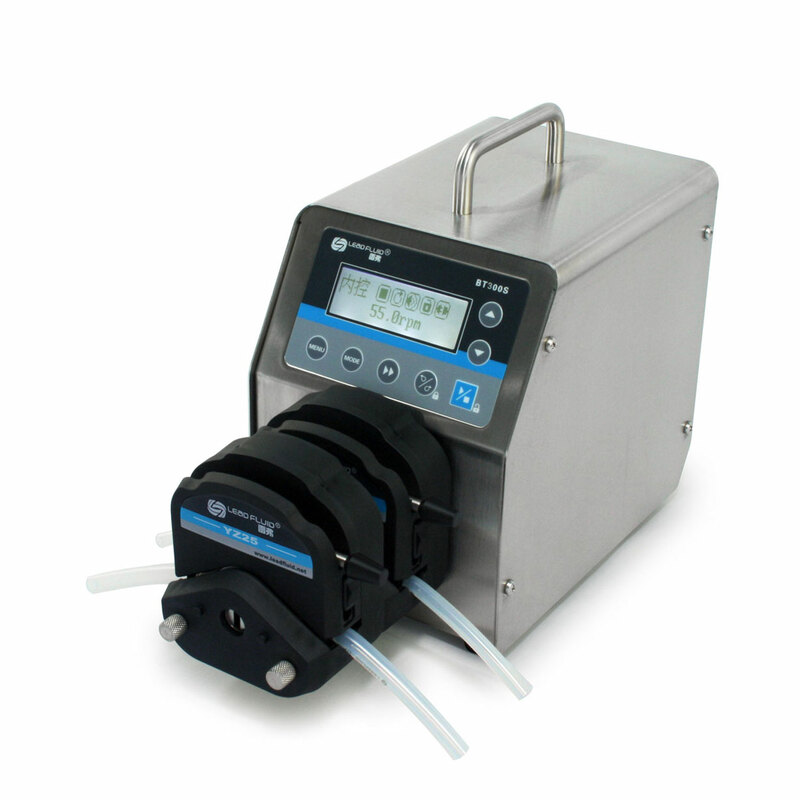 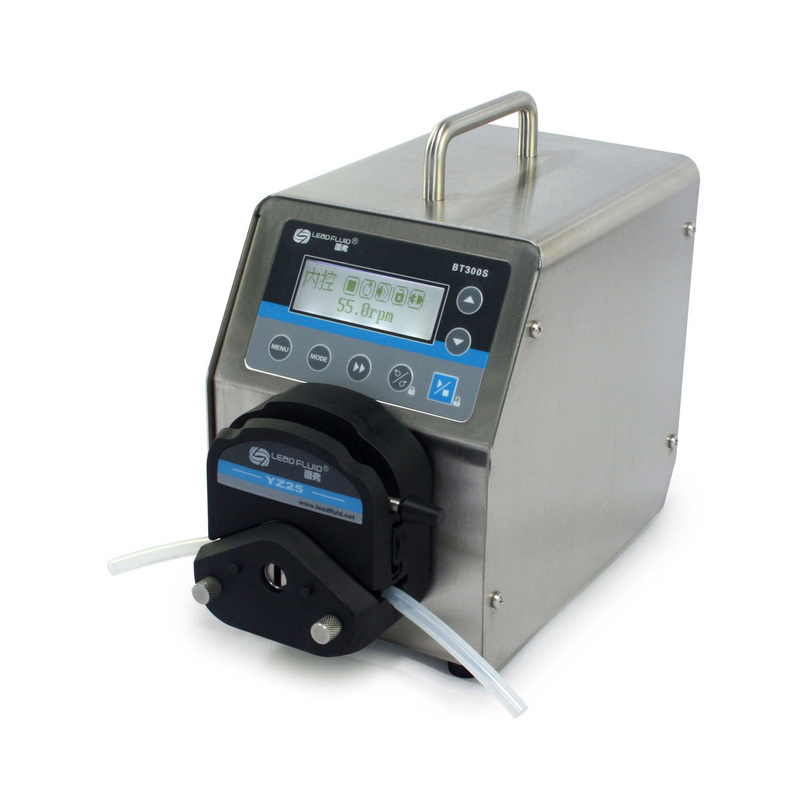 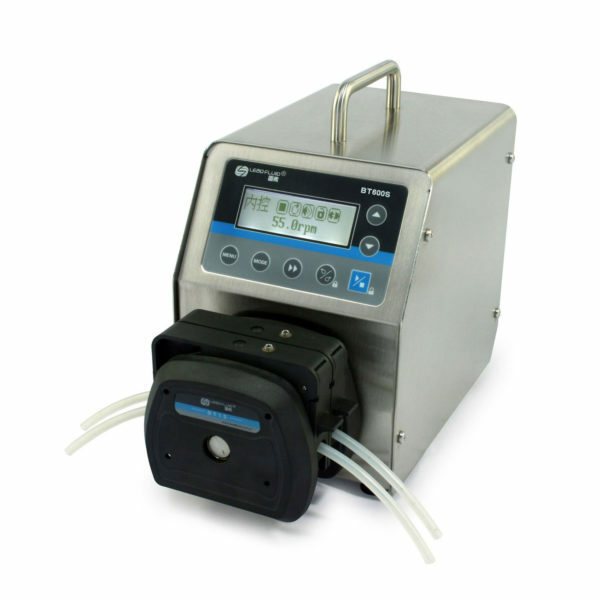 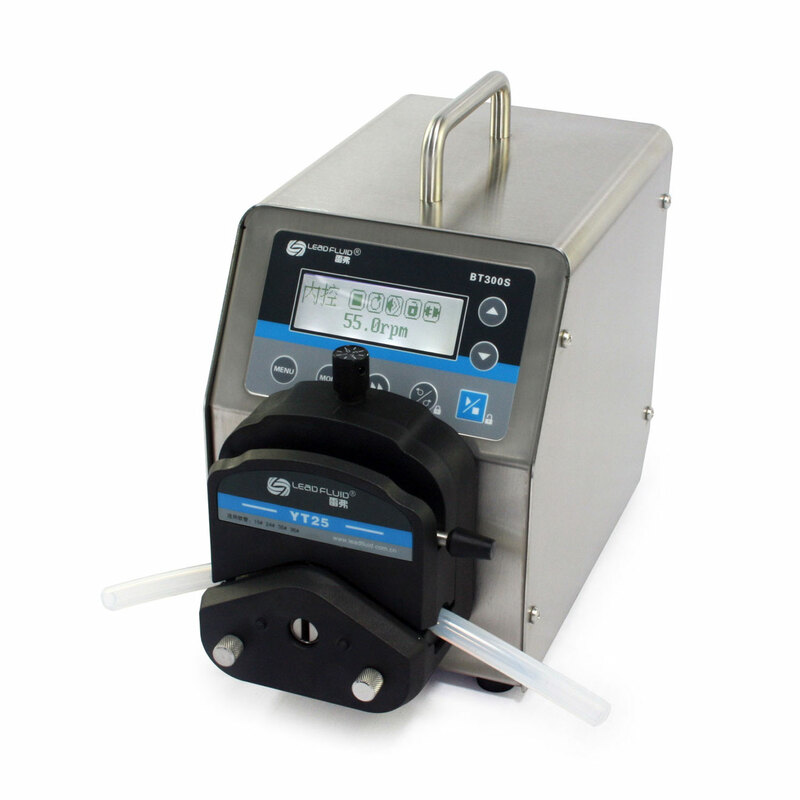 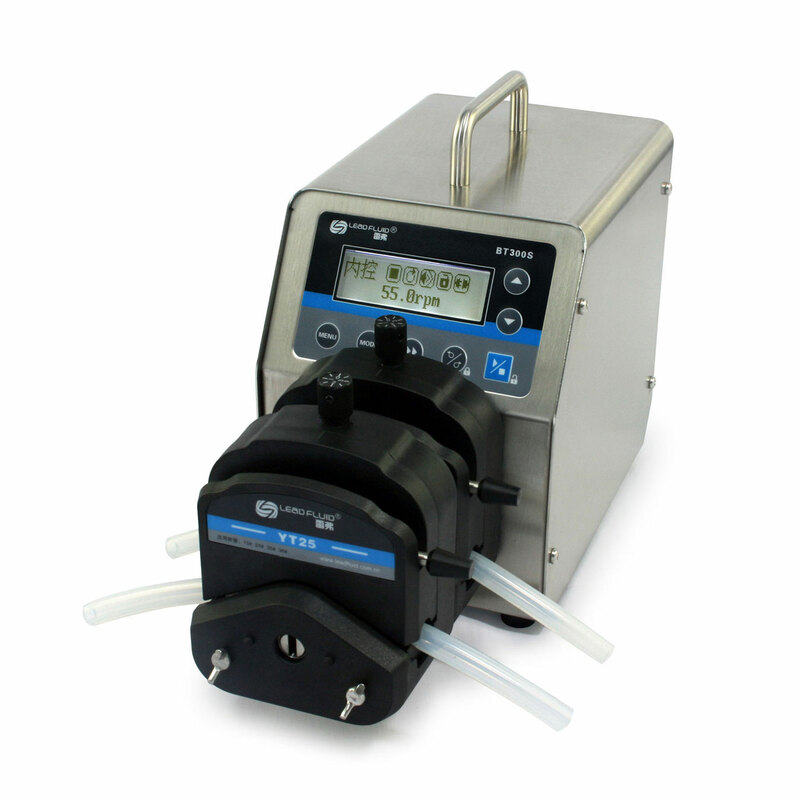 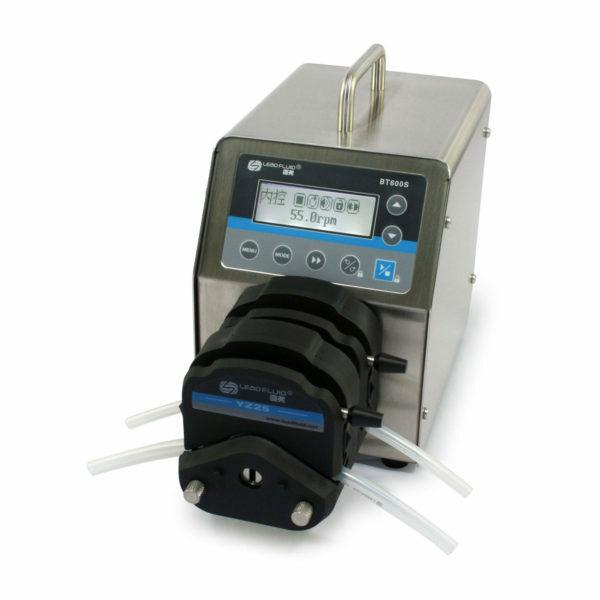 BT300S Basic Variable Speed Peristaltic Pump provides flow range from 0.006 to 1600 mL/min with variable pump heads and tubings. 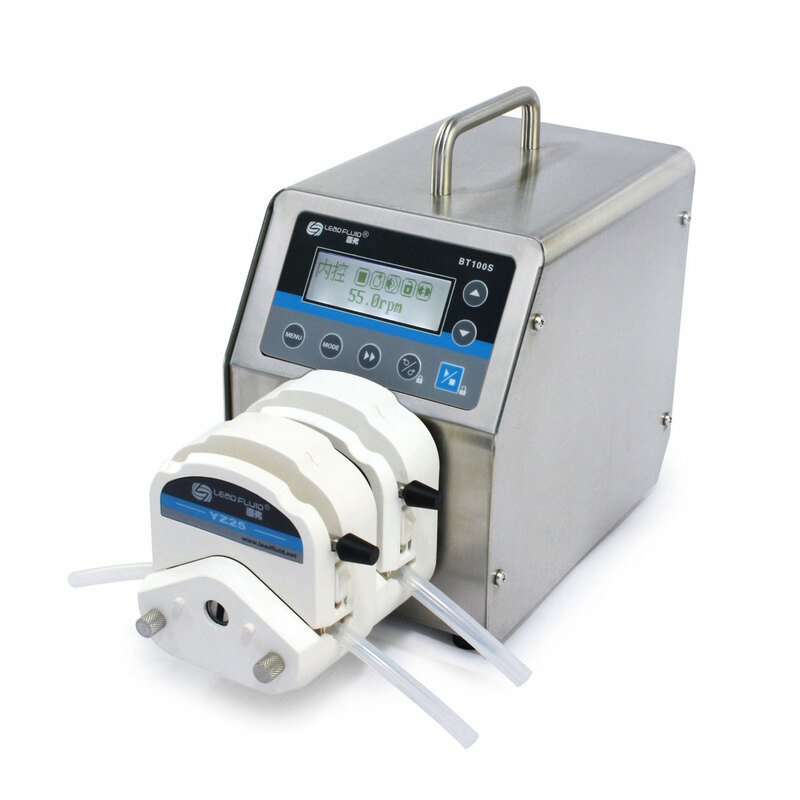 It provides not only the basic functions such as reversible direction, start/stop and adjustable speed, but also Time Dispense Mode and Anti-Drip function. 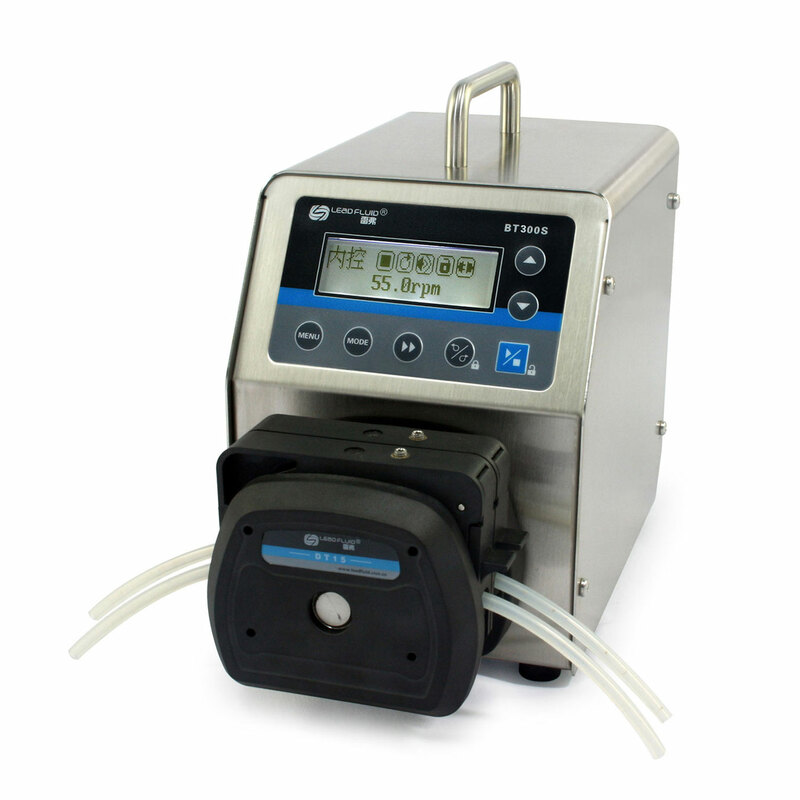 With MODBUS RS485 interface, pump is easy to communicate with external device, such as PC, HMI or PLC. 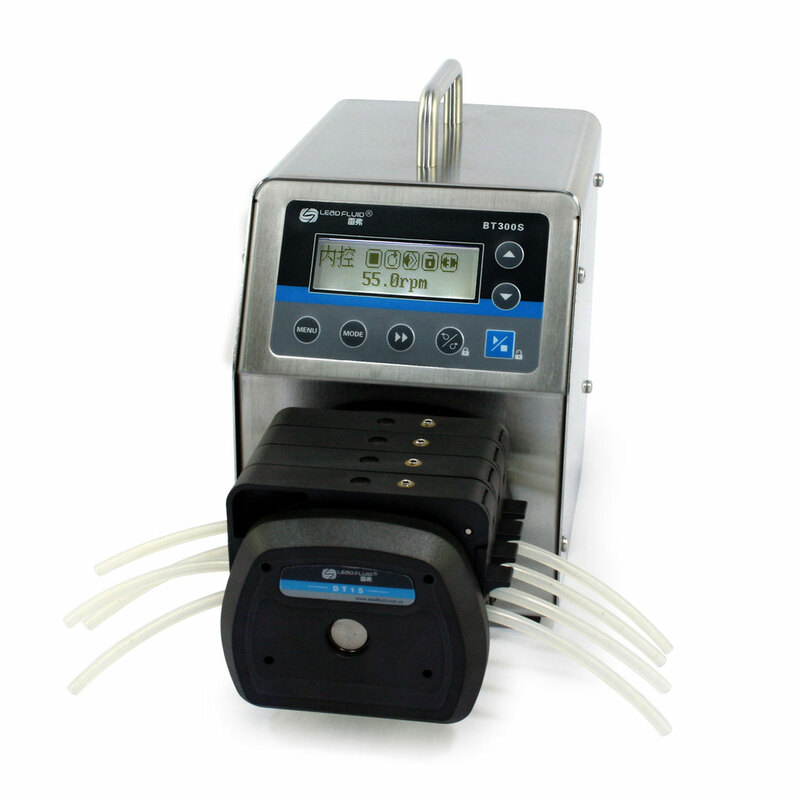 LCD displays rotating speed and working mode. 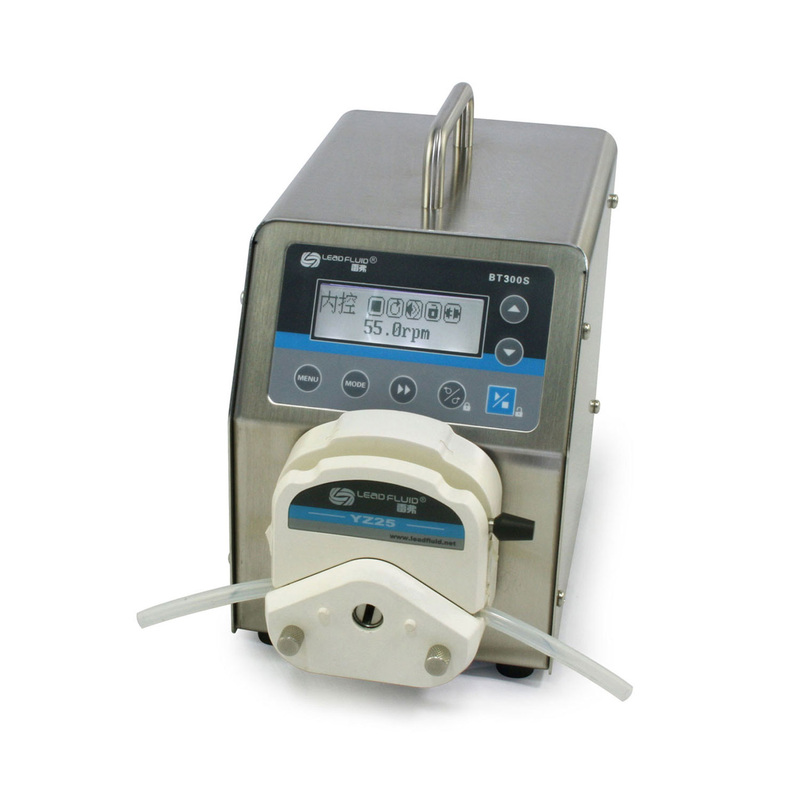 Time dispense mode: automatically dispense by setting the duration for each dose, lag time between doses and number of cycles. 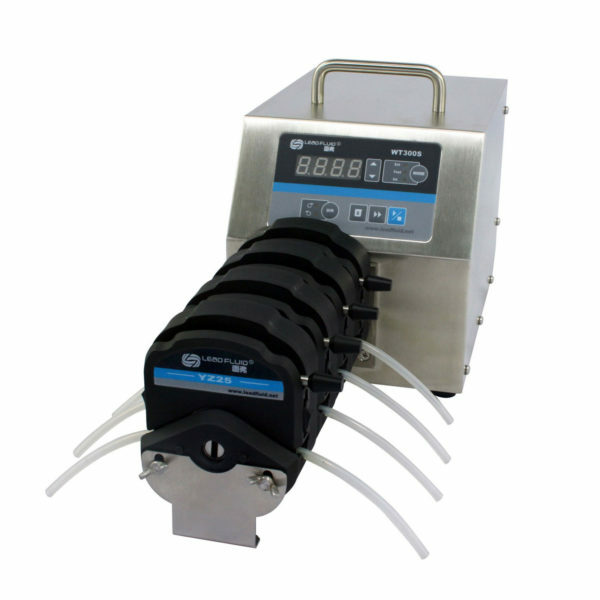 0.5% high precision rotating speed control with 0.1 rpm speed resolution when speed is between 0-100 rpm, 1 rpm speed resolution when speed is between 100-600 rpm. 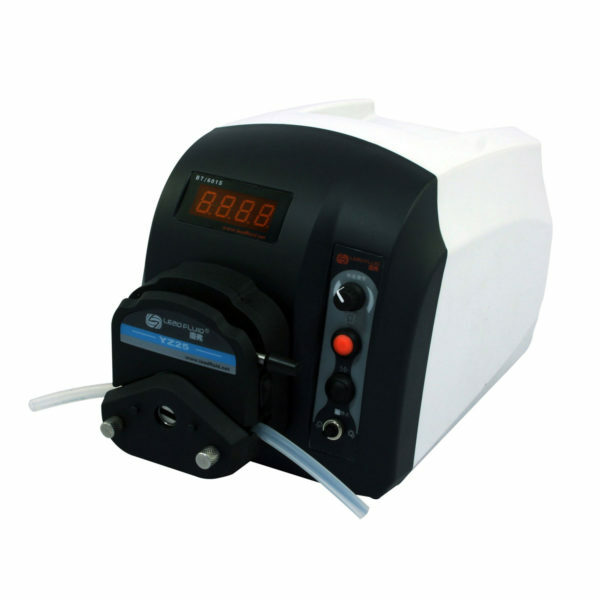 External logic level signal can control start/stop, direction and dispense functions; external analog signal can adjust the rotating speed. 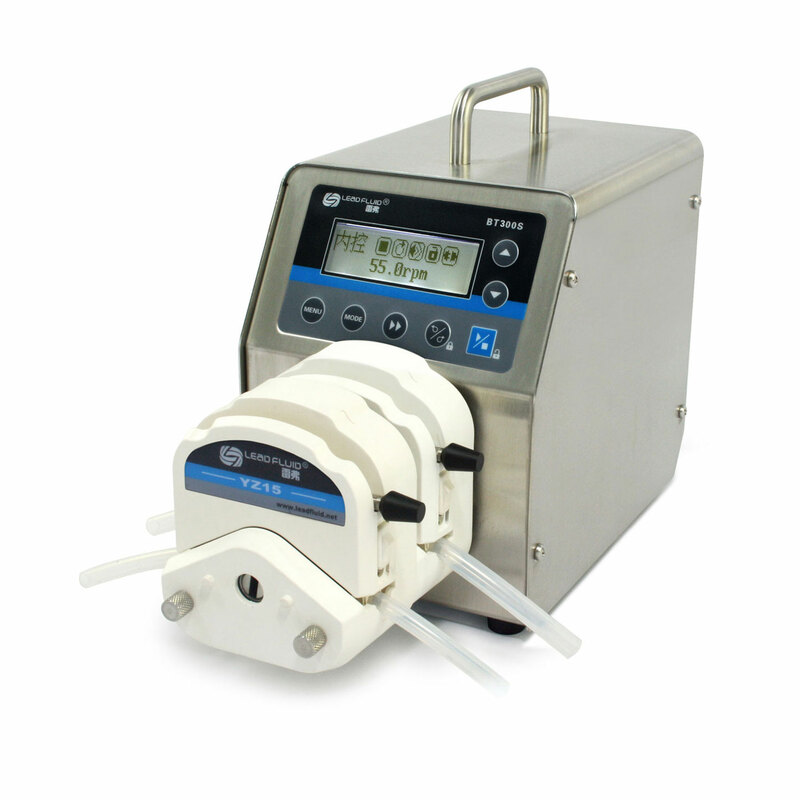 Signal is optically isolated. 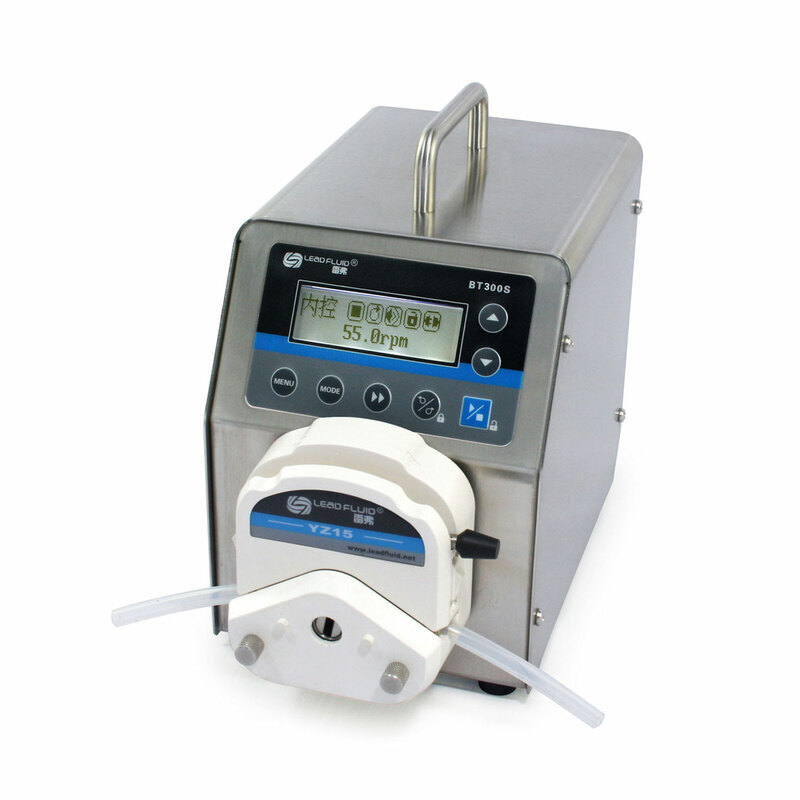 Internal double-layer isolation structure; circuit board with conformal coating makes the pump dust-proof and moisture proof.